Salsa dancing under the stars, ocean breezes, fruity cocktails... are you somewhere in the islands? Nope, you're on the patio of an Asian fusion restaurant in Santa Monica. An unlikely salsa spot, sure, but one with serious cred nonetheless. 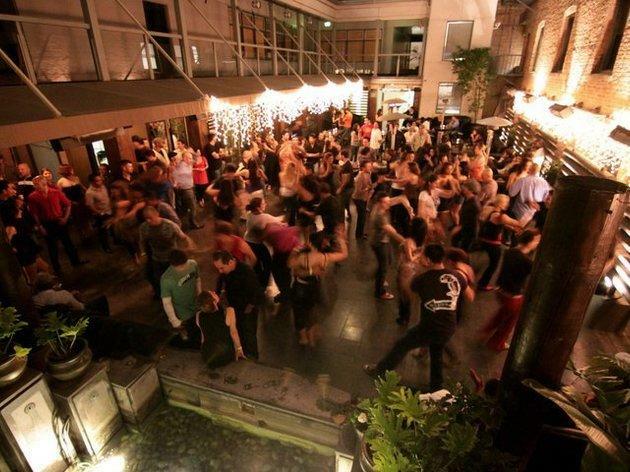 Skilled salseros flock here for the open-air dance floor and terrific DJ spinning Latin classics from salsa and cha cha to bachata. On a warm night, it's a heavenly experience (but don't worry—there's a covered area as well for chillier evenings). Beginner and intermediate lessons precede the party—you'll need them to break the ice with this practiced crowd. Wokcano Salsa Tuesdays are back. 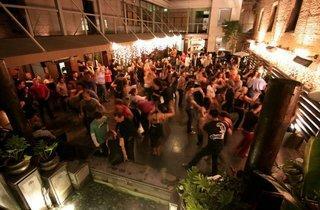 Great mix of Salsa (Puerto Rican, Mambo, Timba, Romantica ,...) some bachata and cha cha as well. Good crowd with some advanced dancers but lots of beginners and intermediates as well. Awesome happy hour and reasonably priced drinks. Going back for sure!